Introducing The Timber Yard, a spectacular complex of unprecedented size and flexibility for events conveniently located in the Port Melbourne industrial precinct. 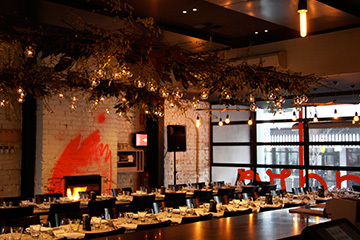 Only recently opened, The Timber Yard is set to become a landmark venue in Melbourne with endless possibilities for functions and events. Set on on 6,000 sqm and comprised of indoor and outdoor event spaces, the site has been restored staying true to its heritage of timber storage, and has been developed and built on a philosophy of recycling and up cycling. The Timber Yard is an urban sanctuary for bringing people together for amazing and memorable events, while designed to add the country flavour and personality to the city. A turfed outdoor event space that is lush and expansive and ideal for a cocktail style event, wedding ceremony or reception, product launch, car show and festivals. This venue is particularly suited to a conference or workshop, fashion show with a runway or catwalk, with a structure that is undercover and inclusive of a long table for seating. This enclosed space is the smallest on site, perfect for smaller sized cocktail style functions, or can be incorporated as a breakout room when hiring the entire venue. Beautifully decorated with pockets of greenery and reclaimed timber, this is the largest event space that can be utilised for almost any occasion, seated or standing. 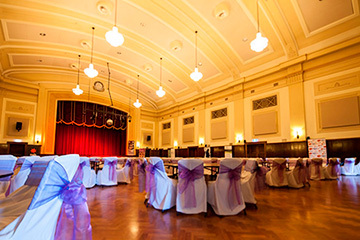 With an industrial chic style appeal and expansive size, the venue can cater for a gala dinner, awards ceremony, exhibition, trade show, festival, performance and so much more. All audio visual equipment can be organised on request.